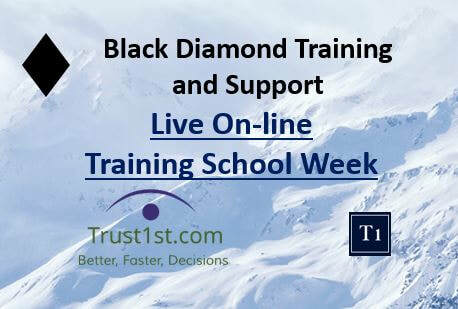 Combines Basic and Advanced Training and includes 1 Live on-line Training School Week. Next Training School Week begins Monday, November 5th. School begins each morning with the Daily Briefing at 8 AM CT. School ends with the close of the market at 3:15 CT Monday through Thursday and at Noon on Friday. Ray Burchett, creator of Intuitive Development Training is the instructor. Monday and Tuesday take a deep dive on the Intuitive Development Process taught in Basic Training, and construction of the Cognitive Engine optimizing decision-making and execution. Proprietary value level calculations framing the market. Highly correlated momentum tools forecasting price movement. Volume tracking method developing greater awareness for the energy driving price movement. Reading the trading DOM (price ladder) to fine tune market entry and exit. Friday's focus is on the Directional Trading Strategy and how to make the most out of the Full Year of Comprehensive Development Support (Daily Briefing, Evening Chartbook and Market Recap, and the Sunday Evening Review Sessions). If you would like to discuss the On-line Trading School Week then please contact: rhbltrading@sbcglobal.net to schedule a call. Provides 3 month access to 5 Star Rated Basic and Advanced Training on-demand learning modules plus Comprehensive Development Support featuring the Daily Briefing, Evening Chartbook & Market Recap, and Sunday Evening Review. Full details are in Basic and Advanced Training descriptions above. Note 90-Day Reflection Cycle and monthly Saturday Review is not included and can be purchased separately. Access can be renewed in 3 month increments. ​Access to 90-Day Reflection Cycle and Live on-line Monthly Saturday Review. See Basic Training description above for full details. 3 month extension of access to on-demand learning modules for Basic and Advanced Training; and Comprehensive Development Support.